South African board and corrugated cardboard producer Mpact is experiencing benefits from increased capacity and reduced energy requirements by using Voith’s InfiltraDiscfilter with HiCon 2.0 technology. The South African firm is the first of Voith's customers to use an InfiltraDiscfilter with HiCon 2.0 technology after a machine rebuild. In 2015, Mpact has started using recovered paper fibers instead of the sugar cane waste product bagasse in a bid to convert the paper mill and make production 'greener'. As part of this effort, the firm designed a machine rebuild to increase the machine speed from 700 to 930 meters per minute and boost production capacity by 40%. For the project, Voith has upgraded the complete stock preparation unit. 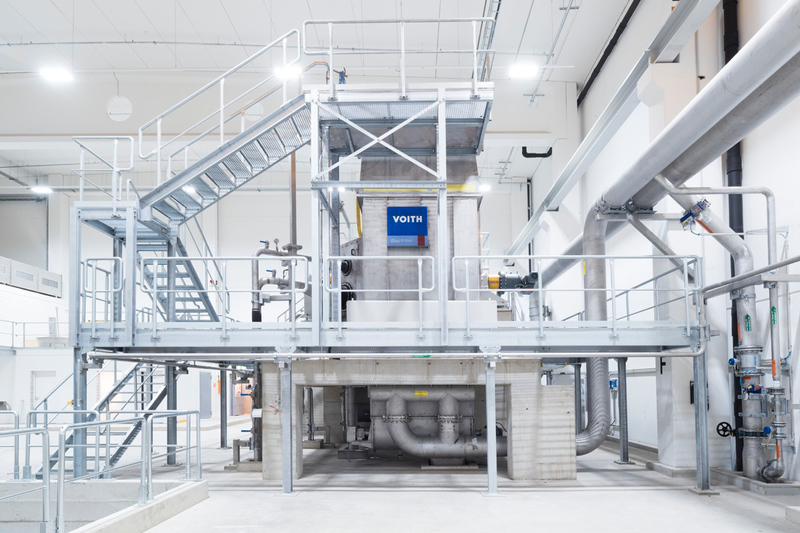 The new technology, which is a part of Voith's BlueLine range, allows the consistency of the stock flow in the inlet to be increased as well as raises throughput by up to 20%. In 2013, Voith has installed VariFlex winder at Mpact’s PM 3 in Felixton mill. The winder has a maximum operating speed of 2,500 m/min. Mpact uses the PM 3 machine to produce various grades of corrugated base paper in a basis weight range of 90–190 g/m2. Image: The Voith’s HiCon 2.0 technology with InfiltraDiscfilters. Photo: courtesy of Voith GmbH.